Elsa Gidlow, lesbian poet and founder of Druid Heights in 1959, kept a quaint writing studio next to her house. 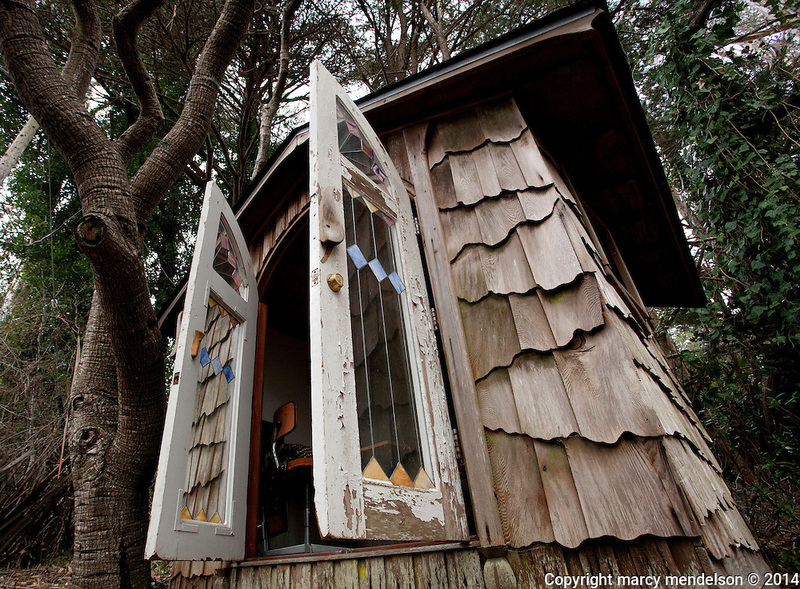 Her desk and mattress are still inside the fairy-tale styled cabin. She passed away at Druid Heights in 1986.